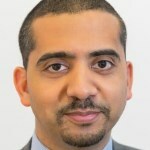 Formally the Senior Editor at The New Statesman, Mehdi Hasan is renown and respected for his balanced left of centre view on everything from UK local policy to the European economy and the Arab Spring. As Political Editor of the UK version of The Huffington Post, Mehdi’s fascinating interviews with some of the UK’s best known names from all walks of public life are always insightful and intriguing. In his best selling book, “Summer of Unrest: the Debt Delusion”, Mehdi brilliantly picks apart official UK Treasury propaganda. Co author of a highly acclaimed biography of Ed Miliband, Mehdi started his career as a TV news producer. His effervescent wit and intelligence ensures his regular apearances on BBC1’s Question Time and The Big Question. In addition to frequently presenting on LBC radio, he contributes to The Guardian and The Times’ comment pages, as well hosts programmes on Al Jazeera English.